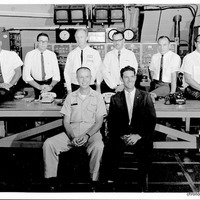 A group photograph of the Mercury-Atlas launch management team. Left center in the back row is Dr. Calvin D. Fowler, who launched astronauts Scott Carpenter (1925-2013), Wally Schirra (1923-2007), and Gordon Cooper (1927-2004). The other men in the photographed are unidentified. 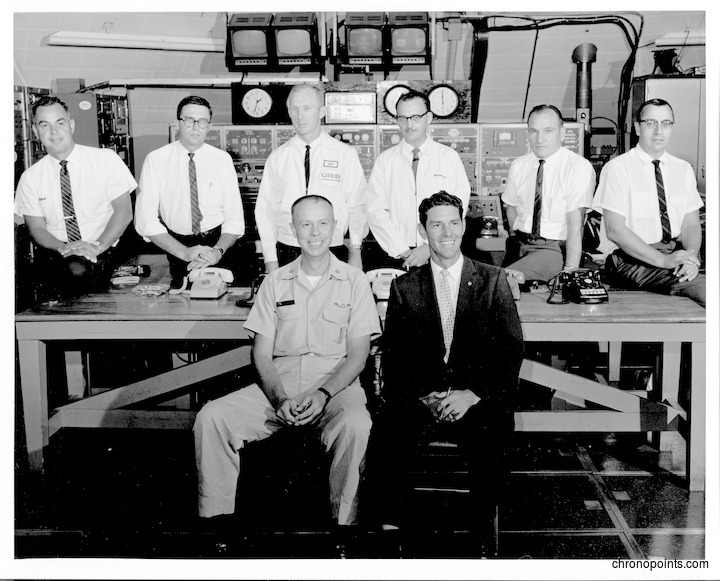 “Mercury-Atlas Management Team at the Cape Canaveral Air Force Station Launch Complex 14 Blockhouse.” RICHES of Central Florida accessed April 20, 2019, https://richesmi.cah.ucf.edu/omeka/items/show/4977.